Having access to millions of dollars and choosing not to draw on the funds probably requires some serious willpower. CenterX, a Madison, WI-based developer of e-prescribing software, finds itself in that situation after raising more than $3.3 million from investors, according to a regulatory document filed on Monday. Joe Reinardy, co-founder and CEO of the 20-employee startup, says the money gives CenterX options as it seeks to ramp up sales and recruiting efforts this year. Reinardy declined to reveal the identities of the two investors that participated in the latest financing, which he says is a combination of equity and convertible debt. He also declined to say how large of an equity stake his company handed over as part of the deal. CenterX’s legal name is Marshall Reinardy LLC. (The company’s website lists Christopher Marshall as its other co-founder). CenterX has been profitable every year since it was founded in 2009, and has remained debt-free during that time, Reinardy says. The only previous outside funding the startup raised was an initial $60,000 investment from friends and family in 2009, he says. “We’ve continued to exist entirely on revenue since,” Reinardy says. Reinardy would not identify any of CenterX’s customers, but they’re likely some combination of pharmacies, payers, and prescribers. Clinicians are increasingly requesting prescriptions using electronic health records (EHR) software. This sometimes requires a “prior authorization” to determine whether the patient has coverage for a particular medication, and is willing to foot the cost of the drug. Epic Systems—a leading EHR vendor that’s also based in the Madison area, and Reinardy’s employer before he launched CenterX—introduced a prior authorization module last year, he says. But Reinardy says that even with that addition, what’s still missing are links between the hospitals and clinics that use Epic to order drugs and the organizations that supply and pay for them. Epic likely has little interest in setting up and maintaining those connections, Reinardy says. 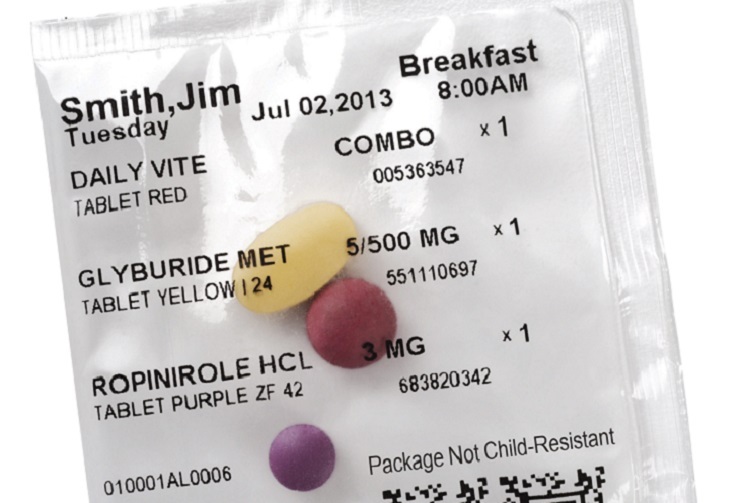 One of the other Epic-approved vendors is Arlington, VA-based Surescripts, he says. That company is an e-prescribing goliath; as of April 2014, 70 percent of U.S. physicians were ordering medications using an EHR on the Surescripts network, according to a report from the Office of the National Coordinator for Health Information Technology. Surescripts is also one of the founding members of Carequality, a network launched last year to help facilitate the transfer of records when two healthcare organizations do not use record-keeping software from the same vendor. Being in such a consolidated industry, CenterX appears to have the ability—and desire—to grow at the pace it sees fit. The company’s software is cloud-based, which Reinardy says allows it to expand its network more effectively than competitors and leads to less downtime. To accumulate significant market share, though, CenterX may need to supercharge its growth with venture capital investments. Or it may decide to stay disciplined, play the long game, and continue with its bootstrapped model.